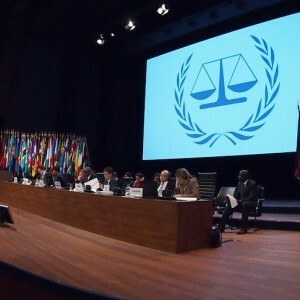 The International Criminal Court (ICC) is facing fundamental questions about its performance at every level. Is it time for drastic reform and if so, what can be done? And should states such as South Africa withdraw from the ICC or try to improve it from within? Dr Phil Clark has highlighted the ICC's troubling track record in Africa and urges a major rethink about how the court operates, especially in the global South. Justice Richard Goldstone has argued that the ICC still plays a vital role in addressing mass atrocities but that the court ‘is far from perfect and in need of constructive reform.’ South Africa, he believes, should lobby for change as an ICC member rather than withdrawing from the court. This event is co-hosted with the School of Oriental and African Studies (SOAS), University of London. Dr Phil Clark’s new book Distant Justice: The Impact of the International Criminal Court on African Politics (Cambridge University Press) will be on sale at the seminar. Justice Richard Goldstone, member of the Africa Group for Justice and Accountability, and former SA Constitutional Court judge, and former first chief prosecutor of the UN tribunals for the former Yugoslavia and for Rwanda.